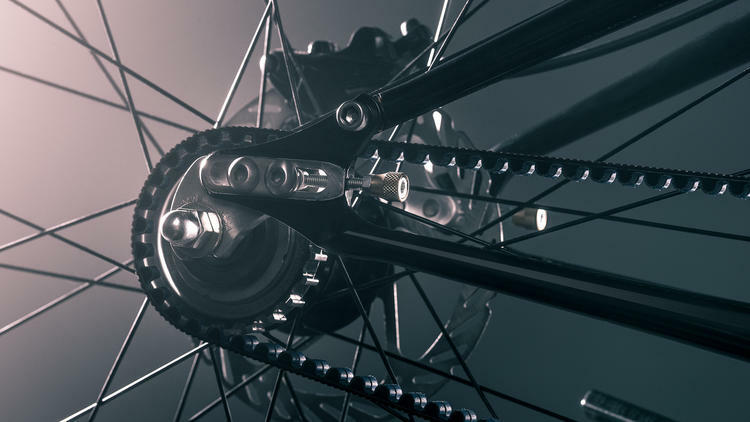 ntroducing the “Blackline” — a steel-tubed sophisticated monster of a bicycle with basket racks, bubble tires, a weather-proof drive belt in place of a chain and smart handlebars that signal upcoming turns. The bike is Chicago’s entry in The Oregon Manifest Bike Design Project — a national contest for the best urban bike design — and the team that designed the bike unveiled it Friday during a kickoff party at Chicago’s Minimal design studio. Competing designs rolled out in four other cities: New York, San Francisco, Seattle and Portland, Ore.
Oregon Manifest, the competition organizer, says it will determine a winner based on a national vote that begins Monday. The Oregon Manifest says online voting will stay open until noon Aug. 3. The winning design, announced Aug. 4, will be produced by Fuji Bikes for retail debut in 2015, the organization says. Chicago-based design studio Minimal paired with Method Bicycle to enter the “Blackline,” which takes its name from Chicago’s iconic elevated train lines. The bike’s builders say they designed it in consultation with Chicago riders who bared lessons and scars from Chicago winters. The bike has a two-inch-thick unisex custom steel frame, disc brakes, a Gates carbon belt drive and a sealed internal three-speed gear shifter also designed for the World Bicycle Relief program. The custom Helios smart handlebars charge smartdevices, have integrated LED headlights and side turn indicators, a “speedometer” that glows different colors at different speeds, and internal GPS. Each city’s team built a bike that reflected the unique urban challenges of cycling there.